If you ask gem experts, they will tell you that since synthetic or lab-created gemstones are made of the same material as natural gemstones, they share the same chemical and optical properties. A synthetic sapphire is composed of aluminum oxide, the same material as the natural stone. It is just as hard and just as brilliant as a natural sapphire. In fact the color and clarity of the synthetic stone may well be superior to most natural sapphires. 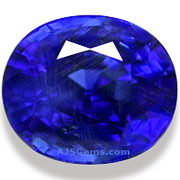 The synthetic sapphire will also be available in larger sizes and at a much lower price. Usually a better product at a lower price is a sure bet to succeed in the market. But natural gemstones continue to be preferred by knowledgeable gem buyers. In fact most of these buyers would not even consider buying a synthetic gemstone to make fine jewelry. Why is that? One answer is that a natural gemstone is extremely rare, and thus has a special value. But we should not accept this as the whole answer. This is because not all rare things, however valuable, are intrinsically interesting or beautiful. Rare coins, for example, can be be worth a fortune; but they are collected solely for their rarity, not their beauty. We might say instead that natural gemstones are rare in a special way -- they are a kind of miracle of nature; a happy accident where the right conditions came together to produce a material that can be cut and polished to produce a finished product with remarkable properties. In considering this answer, it's worth remembering that not all natural gemstones are valuable. Poor quality specimens form the bulk of the output from virtually every mine. Gem quality material has a rare combination of transparency, clarity and color. But there is more to a natural gemstone than just these qualities, which indeed can be found in synthetic stones. A natural sapphire is not just aluminum oxide. It may also contain a number of "impurities", including titanium, iron, chromium and rutile. These impurities contribute not only to the hue of the gem, but also to its texture, its appearance under different kinds of lighting, its color zoning and a whole range of subtle optical qualities. Synthetic gems are actually more perfect than most of the specimens found in nature. But in many gemstones it is precisely these accidental imperfections of nature that give natural gemstones not only their rarity, but also their unique beauty. The idea that synthetic gems are chemically identical to natural gems is actually mistaken. Natural gemstones are formed very slowly in nature, under conditions unique to each locale. Synthetic gems are created quickly under controlled laboratory conditions. So while synthetic sapphire and natural sapphire are both essentially aluminum oxide, there are many physical and qualitative differences. 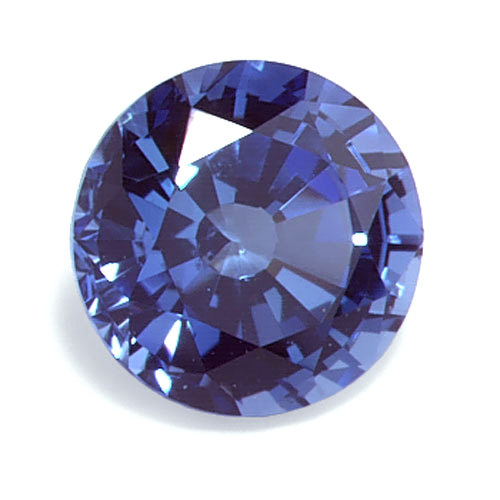 For example, the velvety texture of a fine natural blue sapphire is due to tiny inclusions of rutile that formed as a result of geological processes. Duplicating these natural effects in the laboratory, while not impossible in principle, is extremely difficult. Natural sapphire is of course more expensive, but for gem lovers and collectors who appreciate fine gems, the price of natural sapphire is well worth it.